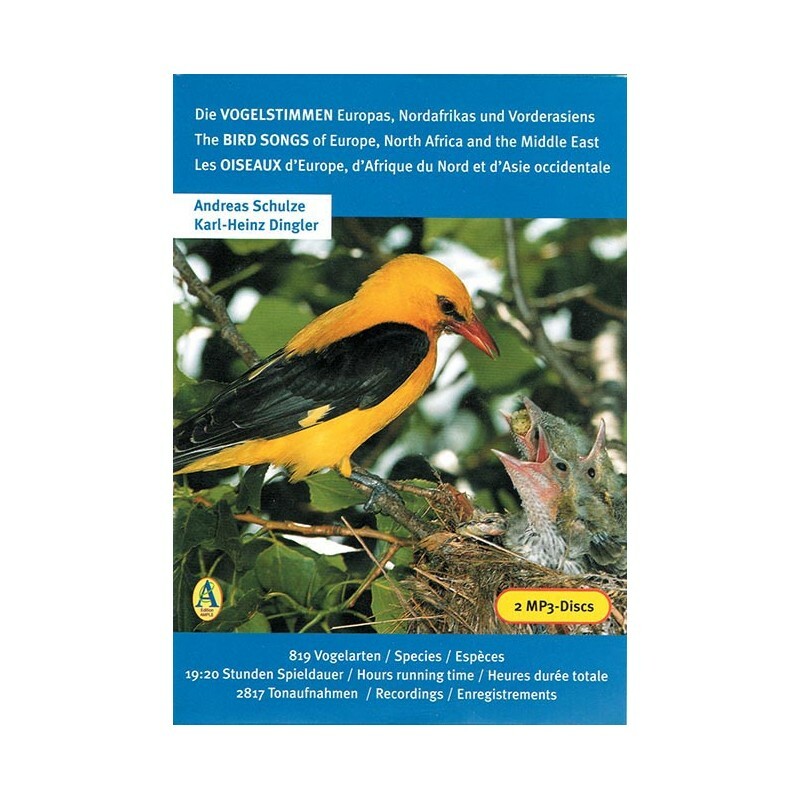 The most important collection about bird songs in MP3 - 2 joining together CD MP3 = 17 audio CD - 819 species of Europe, Afric of North and Western Asy - 2817 recordings representing songs and cries - easily accessible. Chiff-Chaff opinion: the reference in the world ornitho. 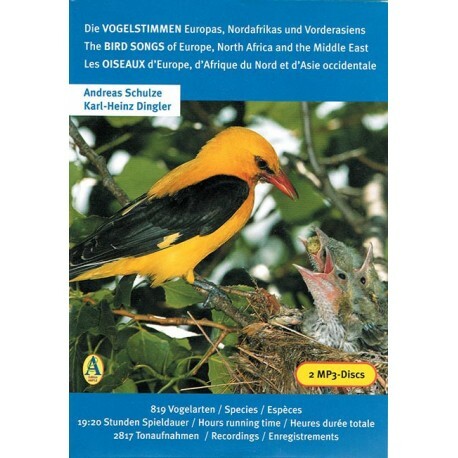 Compilation: Andréas Schultze - Booklet trilingual provided in pdf: 64 pages in German/English/French.